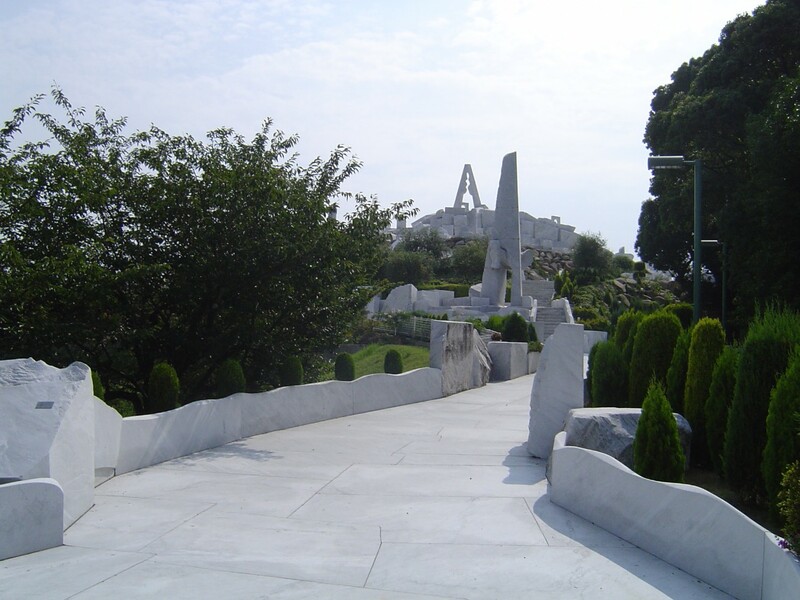 This audacious project to cover an entire hill with marble taken from the mines in Carrara, Italy was completed in October, 2000. If you're looking for something unique to look at in Japan then this is likely it. It was clearly a monumental task to sculpt the pieces and ship them in containers to Japan from Italy. There are numerous smaller touches but the major sculptures like the "Cat in the Sky" and the centerpiece, "Tower of Light", are impressive in both their size and beauty. In a way, the rest is an open air museum to showcase them. The only part I found wanting was that the fusion of greenery and white marble that worked so well near the fringes was not continued into the center a bit further. 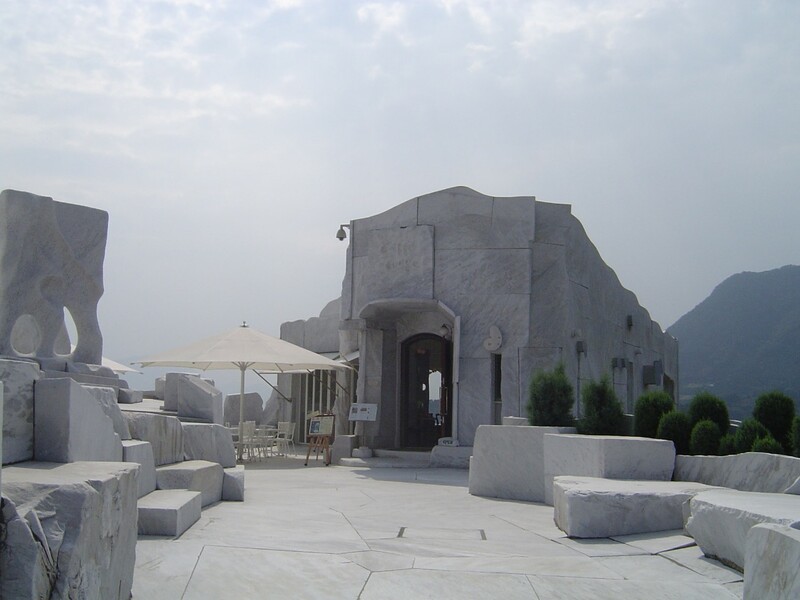 Miraishin no Oka was given the Marble Architectural Award's first prize for urban landscape in 2005. Nestled on top of the hill is an Italian restaurant of all things. 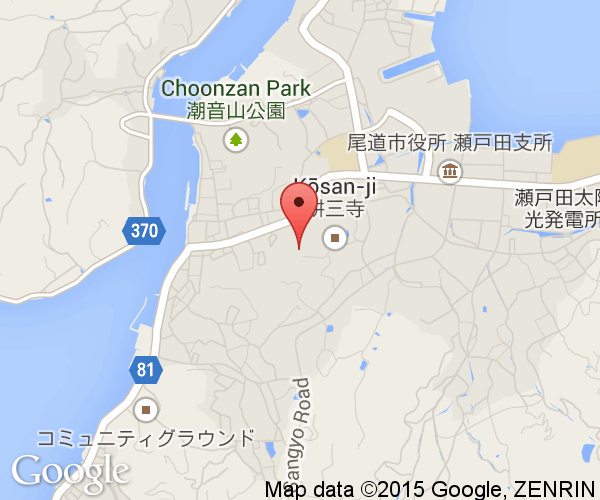 Cafe Cuore is a small restaurant with a large outdoor patio that overlooks Setoda Town and the ocean. If eating at a restaurant doesn't appeal to you then there are plenty of places to enjoy a picnic as you sit and take in the view. 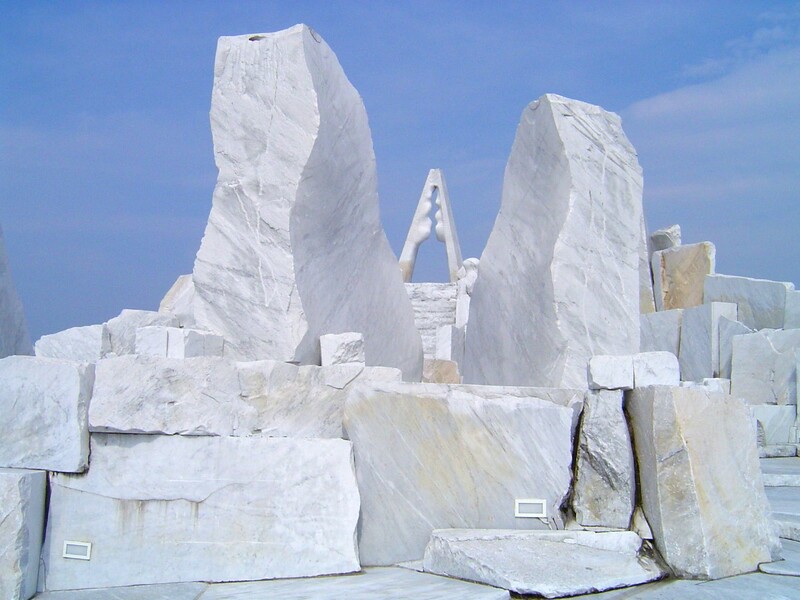 The designer of the Hill of Hope, Kazuto Kuetani, is an internationally recognized marble sculptor. He was trained by Katsuzo Entsuba, a leader in Japan's sculpting field, and had his first piece accepted by Japan's yearly Sculpting Exhibition at age 20. Kazuto Kuetani was born in the Town of Kozan in Hiroshima in 1942 but now resides in Italy. In Italy, he has furthered his art and his critically acclaimed works have won many awards and even the president of Italy and his wife have visited his workshop in Carrara, Italy. Perhaps his greatest honor is being involved in the creation of the sculpture called the "The Resurrection of Jesus Christ" which now stands in the Papal Audience Chamber in the Vatican. For this work, he was granted an audience with Pope John Paul II. Miraishin no Oka is on Ikuchijima Island in Setoda Town. 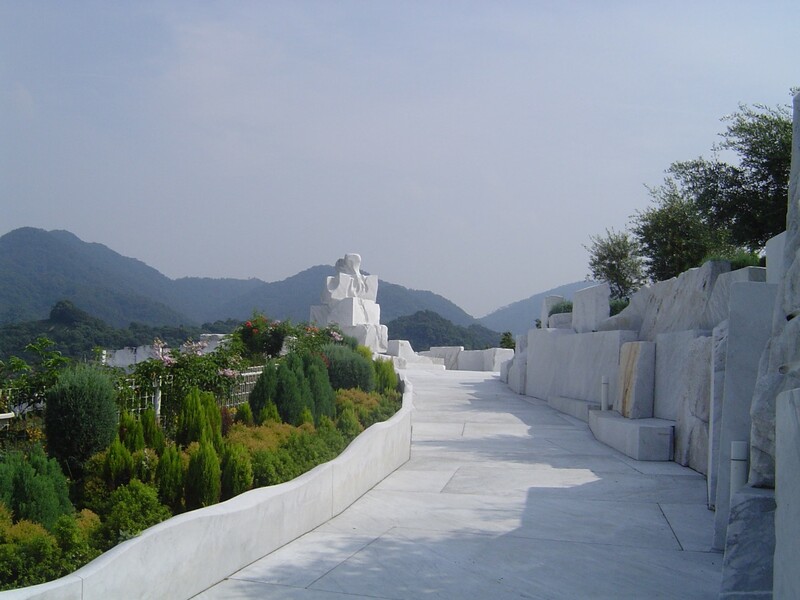 It is part of the Kosanji Temple and can only be accessed through the temple. 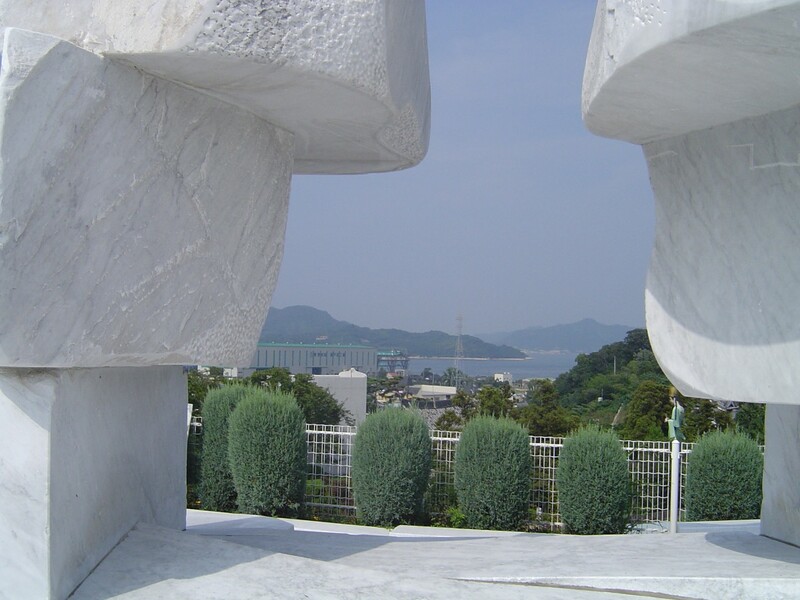 Setoda town can be reached from Ehime Prefecture or Onomichi City in Hiroshima Prefecture via the Shimanami Expressway. Frequent ferry service to Gawa Port (15 minute walk to the temple) in Setoda Town leaves from Sunami Port, south of Mihara City.